WEST PALM BEACH, Fla. — Looking at it now, it’s hard to imagine the massive damage suffered by Holly Springs Motorsports in December 2015 when a F4 tornado ripped through the facility. Just five months after the storm and thanks to the help of the racers and others in the community, the northern Mississippi reopened as one of the premier drag strips in the Southeast. Now two years later, Holly Springs, known for its racer-friendly amenities, has signed a multi-year partnership agreement with the International Hot Rod Association (IHRA). The racers and others have seen the commitment of the track owners and know how much the facility means to the local area. The attributes of Holly Springs Motorsports are many including a laser-leveled, all-concrete surface over a full 1/8-mile. There are concrete walls, guardrails in a 1,400-plus feet of uphill shutdown area and a full sand trap. It also features eight staging lanes, an AccuTime timing system and numerous speakers throughout a very well-lit facility. But, it’s taken to the next level with all-asphalt parking, numerous electrical hook-ups, a fuel shack and a highly-reviewed concession stand. 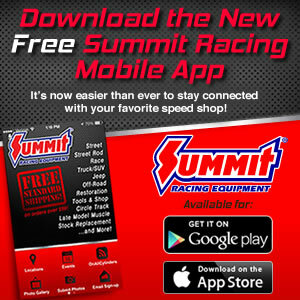 Davis believes the IHRA Summit SuperSeries program fits in nicely with their philosophy of taking care of the racer. For schedules of events and other news items check out the track’s website hollyspringsmotorsports.com and its Facebook page.